A successful initial steam test has been held today. As expected, lots of little bits and pieces need adjustment and fettling, but Piglet said it was pretty good - the main measure of success was whether the fire had to be thrown out because problems had arisen: the J27 fire is still in! The cab fittings and clack boxes were all fine, the front safety valve needs dismantling and fettling as does the whistle, the injectors worked but started leaking, the brakes have been adjusted, and Terry Newman drove it up the yard to Deviation Shed and back to demonstrate that the J27 had some chuff. Andy Lowes was also present all day and gave invaluable help to Piglet in dealing with issues as they arose - many thanks to him. Piglet is going to let me have a note on the days' activities later on tonight, identifying the work that now needs to be done, but he has emphasised that it is all little jobs and nothing to be worried about. Those should be dealt with next week, which will also enable the painting to be completed by John Furness. 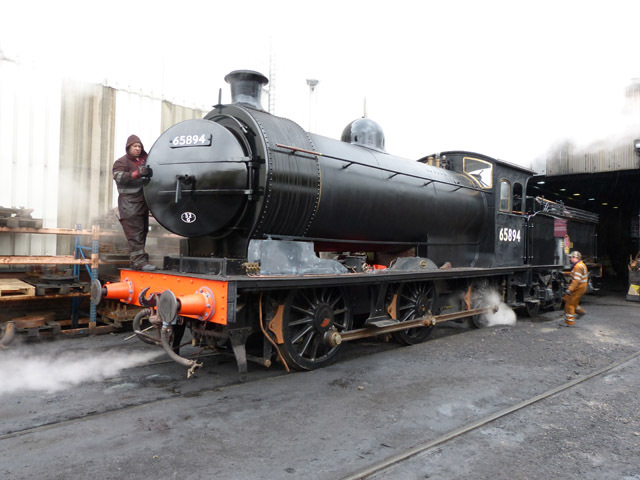 The J27 will not therefore be steamed next week, so no potential playtime until at least after the Bank Holiday. 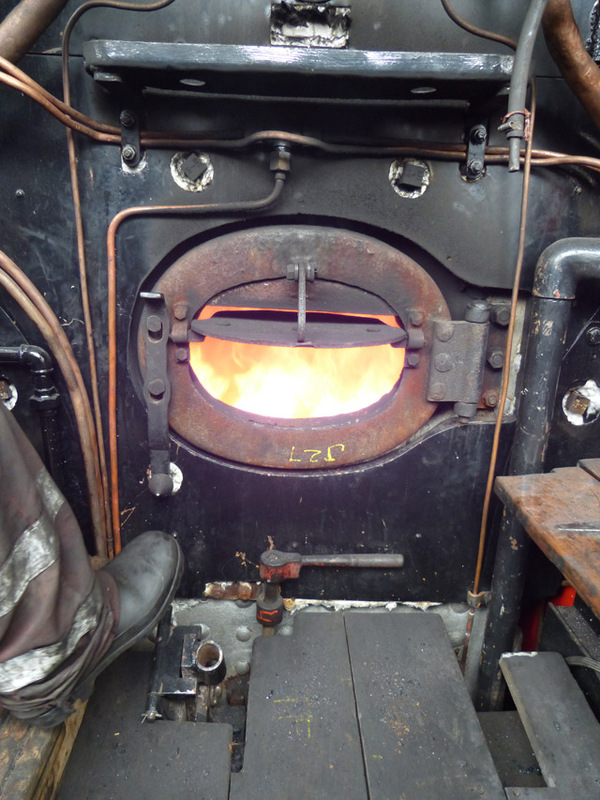 There may be another in house steam test to check on the remedial work in the post Bank Holiday week, but the next main step is the steam test for the boiler inspector, for which efforts continue to be made to get a date in the diary. Running in and play time after that hopefully, before return to service, possibly in the week beginning 14 May?